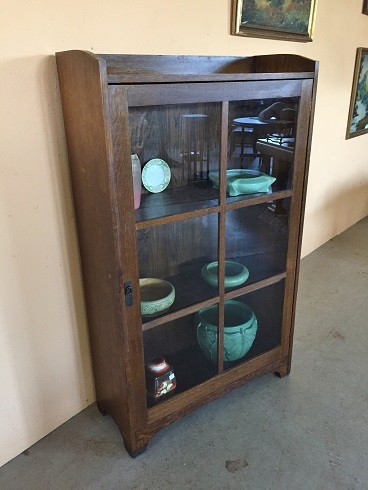 Mission Oak Single Door Bookcase with a good original finish. The shelves are adjustable and offer great display capacity for books, pottery or collections. There is a label on the back that reads ‘Henshaw, Cincinnati, Ohio’.